Hey everyone! Sorry for the little blog break. February is shaping up to be an especially busy month in terms of speaking engagements and events outside of work. But I'm getting back to blogging! 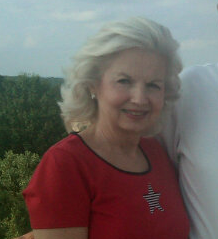 This one happens to be a guest blog from my mom, Jackie! She's in her 60's, and I get lots of requests for videos with her, and info on what kinds of products she likes. We're planning some different videos for the next time we get together, but meanwhile, she's providing me with some product reviews! 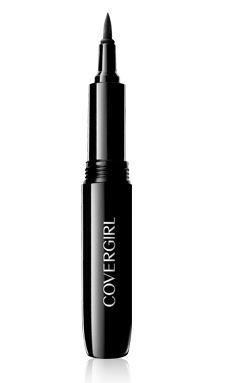 This one was a product I recommended to her because she has some specific needs where her eyeliner is concerned. I think it's nice to share reviews from different perspectives, so take it away, Mom! "Emily recently informed me of one product that solved two problems for me. Being Emily's Mom has its advantages! Aging brings about problems that I inform Emily about. She always seems to come up with an answer. In the process, she is learning about aging skin and can, therefore, help another age group of women. The item she suggested is "Cover Girl LineBlast 24 hour." It is a felt tip eyeliner with a very delicate point that flows on smoothly with one stroke. I chose "Eternal Brown 805" as I have lighter hair and wanted something less harsh than black. My previous liners were Almay Liquid, which would practically blot off, just under my brow bone, if I "teared up." This was due to my skin sagging a bit and coming into contact with the liner. I then tried Maybelline UltraLiner in a waterproof formula. This product was somewhat thicker and the applicator brush was less precise, making it harder to apply. LineBlast works well for me because I can wear it all day and don't have to worry about it transferring or smudging onto other parts of my eye. The second problem she addressed with the "lineblast 24 hour" was that in applying it to the lash line, the point was so small that it did not brush across the lashes and add product where you did not want it. This makes the application of mascara easier, as there is no residue of eyeliner on the lash." Thanks for the review, Mom! She's enjoying this liner, and so am I. I have it in black and love the staying power, and how it dries matte. Something to keep in mind- store the liner with the tip facing down (in a cup or something) so the liquid will flow to the tip and extend your use of the product. To see this liner in action, check out my College Girl Beauty: Night Out tutorial or my Valentine's Day Chocolate Covered Cherry look. It costs around $6 at the drugstore. Got a question for mom? E-mail beautybroadcast@hotmail.com and put "Ask Mom" in the subject line. I'm writing an hour-long speech for a Teen Conference this coming weekend. It's kind of centered around self-confidence... let me know if there are any useful bits of advice I should include. Posted the latest video in my College Girl Beauty Series this morning! I was watching "The Bodyguard" last night... believe it or not, I don't think I've ever seen that movie before. Enjoyed it! RIP Whitney. Tyler made another pot of his healthy turkey chili. I can honestly say I LOVE it! I just asked Cupcake if there was anything she wanted to add, and she turned her face in and covered it with her paw, like cats do. Too cute. I'll have to go pick up this eyeliner and try it out! 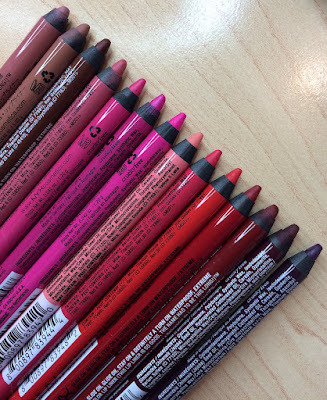 I had a total epic fail with the Maybelline Master Precise liquid pen. Thanks for the review! I will have to check it out. I wanted to grab a waterproof liquid liner to take on vacation soon. Can you please share the healthy turkey chili recipe?? I would love you posting more products that work for the more mature woman. I watch you putting eye shadows on your beautiful non-wrinkly eye lids and think, that's not going to work for me. I'm super interested in trying the liner. Hi Emily and Jackie! thank you Jackie for your review about this product! i am one of the women who has asked to have more reviews of product for the mature woman. i am 55 and love Emily's vids, but it would be really awesome to see your point of view Jackie! your picture is absolutely beautiful Jackie. your daughter is amazing.i will definitely check out this item, and i am with you as far as using brown more than black, the black just seems a little to harsh for me as i get older! love both of you gals! Thank you, Jackie! I'm 54 and things - my features - certainly do change each year! Lately my eyes tear often; I loved Jordana's Fabuliner Felt Tip Liner but it simply dissolves when wet. I'm eager to try this Cover Girl version! I love the beauty broadcast!!! Honestly its my favorite blog next to amarixe and the makeup and beauty blog. You are honestly so inspiring and i love your videos on youtube and i can officially say you are my FAVORITE youtuber. 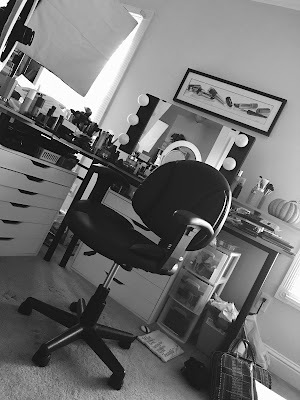 I am a makeup fanatic as well and im not half bad. I want to be like you when i grow up. It would mean soo much if you replied to this just to know if you saw it :) Also as a request for your youtube channel... MAKEUP COLLECTION VIDEO. Thanks! LOVE YOUR BLOG AND CHANNEL!!!!! Emily, I LOVE the review your Mom did, and would love to see more of them for mature women, as I am in my 60's, as well. Thank you mama for the advice to us other mama's with same issues. For you speech would be nice to emphasize that we do not have to rush into things. What I am trying to say is that we are teenagers just once in our lives and we are always thinking in the future instead of enjoying our precious present moment. We want to be someones that we don't know if we would like to be later on instead of loving who we are right now. Do I make sense? Anyway, I loved your tutorial with NYX products. Very good review. Take care! As someone who has truly only recently developed self-esteem, I might have a few tips for teenage girls! I am 18 now, and it took me from the age of 11 to 17 to accept my body shape, realize that my opinion on myself is the only one that matters, and learn to actually love who I am (inside and out!) It is important that girls know that it takes time and experience to learn to love yourself, and I would say the biggest aha moment I had was when I was able to decide what is important to me and what isn't. I don't have to care about other people's opinions on me, I don't even have to focus any energy on negative people around me. I just have to focus on what I enjoy and what makes me happy. Don't read classic books to see impressive or listen to what is considered 'good' music just because it's good, do what makes you happy- read those trashy novels and listen to top 40 stuff if you love it! Focusing on myself is what really helped me. And it's not selfish to love yourself or accept compliments! My confidence tips-- Fake it 'til you make it! For the lecture: something I would go back in time and tell my teenage self is that every teenager has something they struggle with or don't like about themselves. There is something in everyone that someone will covet and admire. So focus on those qualities in yourself, and not the ones you want to change about yourself. Hi Emily! I loved your Mom's review on the cover girl liner. I would love to see more reviews from her or possibly guess reviews from Tyler on men's products. Keep up the great work Emily, you are am inspiration to us all! I see where your beauty comes from. Pretty mom ! I loved that you did this for mature skin, but I did a "Ask Mom" email the day this was put up. Is she going to be answering these questions? This is so cute! I love that you recruited your mom to do some reviews! I'll have to check for this liner next time I'm at the drugstore. Nothing drives me nuts more than smudgy eyeliner or mascara (especially now with my Spring allergies acting up eek).